Bumper Offer: Defeat Pawan...Accept Ministry! Never been before there was a triangular fight in AP Elections. For the first time ever, Pawan Kalyan has created ample scope for such a possibility. Especially, Some of the strategic moves by him in the past few days made people believe Jana Sena is going to offer a tough fight. 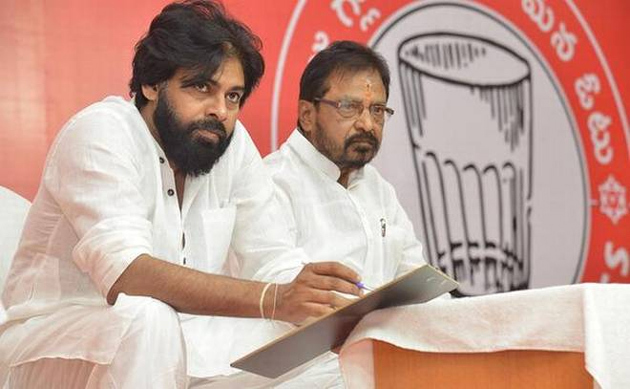 Political Parties have been coming up with their own strategies ever since Pawan Kalyan decided to contest from both Bhimavaram and Gajuwaka. Even before Pawan made the official announcement about his constituencies, YCP announced Srinivas Gandhi as its candidate for Bhimavaram and there won't be any changes in the candidates list what-so-ever. Until recently, Srinivas Gandhi was just one of the MLA Candidates of YCP. He, however, became centre of attraction now due to the clash with Pawan Kalyan. YS Jagan offered cabinet berth for Srinivas Gandhi if he defeats Jana Sena Chief in the upcoming elections. This promise would certainly motivate the YCP Candidate to fight for victory till the completion of polling on April 11th. 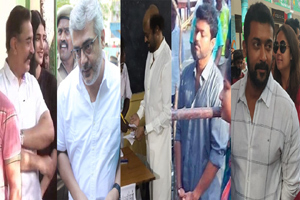 If someone like Chiranjeevi could face defeat in Palakollu, Why can't Pawan Kalyan? Anything can happen in politics...isn't it?